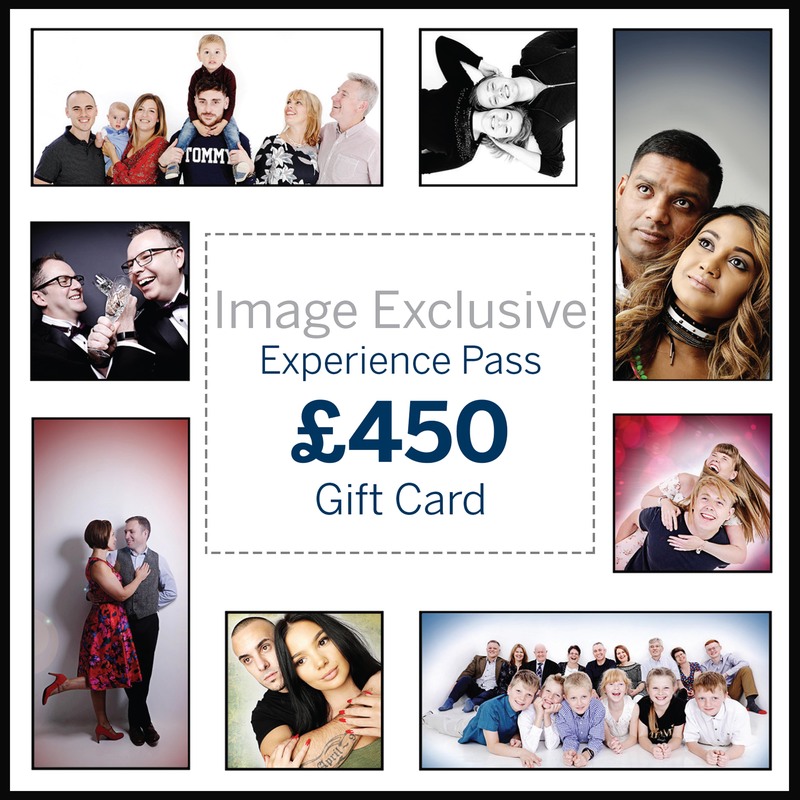 Whether it’s your first time in a professional photography studio or you’re experienced in front of the lens, the team at Image Exclusive is totally focused on making your studio experience truly memorable, with the ultimate aim of providing you with a set of stunning images to treasure for many years to come. 1.5 hours personalised studio experience designed to capture your memories. You will be invited back to a viewing where your images have been professionally edited and retouched. This pass is for your family’s exclusive use and is not transferable. It does not have any monetary value. It is valid for two months from the date of issue. It covers the cost of your exclusive photographic shoot experience for as many family members as you wish (including pets) as well as your viewing appointment. Appointment times are limited. We ask on booking that your credit/debit card details are held with us to ensure your commitment to the appointment, if you cancel or re-arrange within 5 days of your appointment you may be charged. Should you cancel your order you must compensate us for losses, as we incur costs from the moment the order is made. See table below. Your deposit is valid for two months from the viewing date. If, after this time period, there has been no advancement in your order status or we have not heard back from you regarding proofing, the full deposit becomes non-refundable to cover our costs. Payments with FuturePay: By using Futurepay to pay for your artwork you agree to the payment schedule laid out on your invoice and authorise Image Exclusive Ltd to charge my card on a monthly basis until the total outstanding balance is settled. No interest will be charged during the payment plan. Goods ordered will remain the property of Image Exclusive Ltd until the final payment has been made.